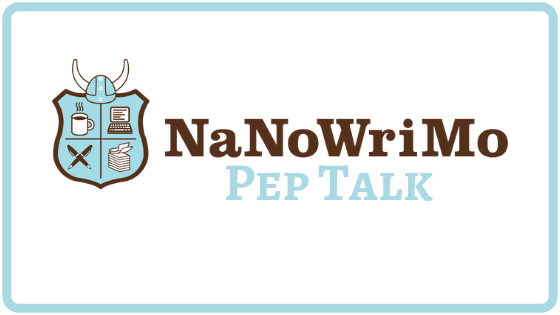 Whether you’re in the throes of NaNoWriMo or just working at your own pace, we could all use a pep talk. This will be different from our typical craft-dedicated workshops. The goal for NaNoWriMo Pep Talk is to help each of you with whatever writing obstacles you’re facing. IMPORTANT: We recommend making a list—even if it’s one thing—of issues you’re facing in your story. Come prepared so you can get help! It can be plot holes, scenes, characterization concerns, formatting questions—whatever! Be prepared for writing exercises. Critique handouts for Mary and Mark are due. Please remember to follow the critique guidelines before printing your stories for us. Shayla will message you the day before to give you a head count. Thank you! You are officially on the list. See you on November 15!